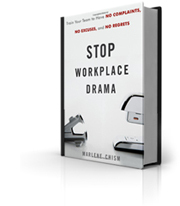 “I’m just about at the end of a yearlong process of managing a disruptive employee. This situation ended up with lawyers involved and should reach a settlement today. It has been a long and painful process as this employee had been tolerated for 18 years, occasionally talked to but was considered a high performer so was allowed to carry on, hurting patients, families, staff along the way as well as creating chaos in her wake of disruption. If the problem had been addressed early on there would be no lawsuit, no unwanted turnover, and no stress. Leaders at all levels avoid difficult conversations for various reasons, however no matter what the reason, avoidance always produces unwanted results. 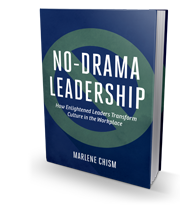 In our No-Drama Leadership Model for Conflict Resolution, leaders learn how to reinterpret conflict and apply the “intangible” mindset skills and specific communication tools to elevate employee performance, align the team, and produce accountable results. To inquire about working with Marlene or bringing this program to your association or business, call Marlene direct at 417.831.1799, or Marlene’s Assistant, Heather Joyner at 252.678.3788 to set up a conference call for exploration.